When disaster strikes your business, SERVPRO is ready for your call. We have specialized equipment and a dedicated team of professionals to restore your business after water, fire, mold, or storm damage. Give us a call today! This commercial property had standing water that needed to be extracted. After SERVPRO extracted the water, we began to place specialized drying equipment. Our team of licensed water damage restoration professionals can get your business back to normal after water damage. This hotel had ceiling damage due to a roof leak. SERVPRO of Bath/Brunswick arrived to assess the damage. We removed the damaged portions of the ceilings and began the drying process. 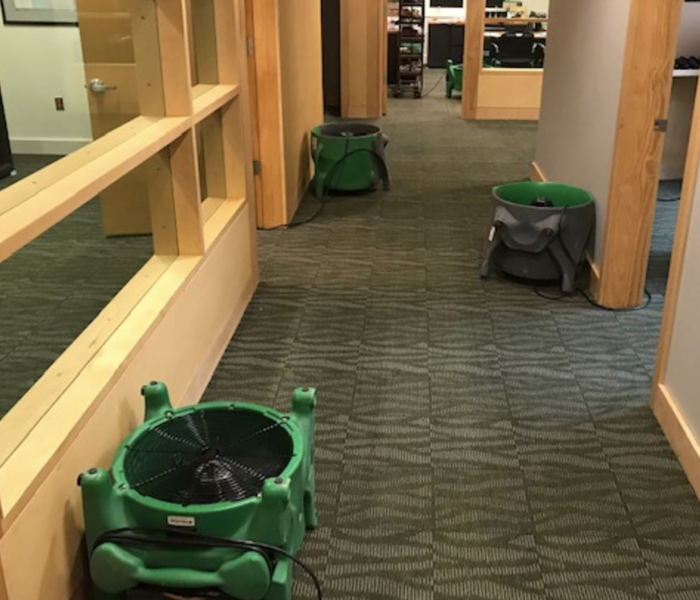 When water damage hits your business hard, SERVPRO can help. When you discover water or mold damage in your commercial property, give SERVPRO of Bath/Brunswick a call. Our team has the equipment and skill to get your business back to its pre-damaged condition. 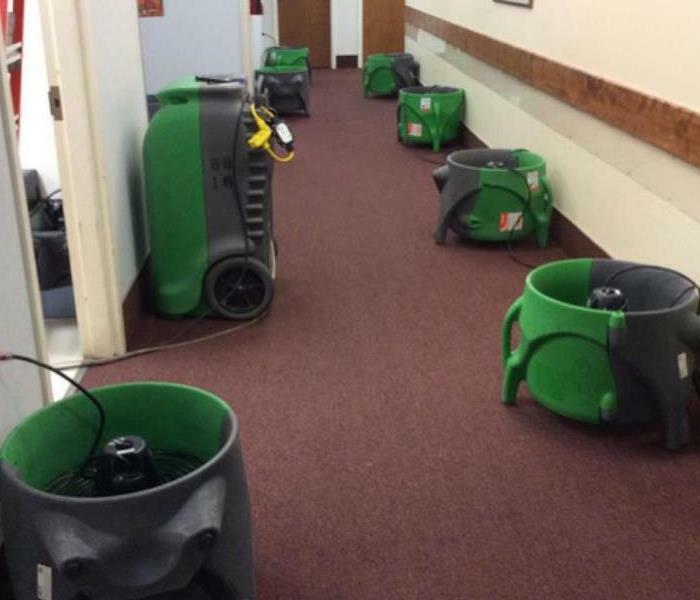 SERVPRO of Bath/Brunswick has specialized equipment for all sizes of water damage. Whether your damage is commercial or residential, SERVPRO can help. Our team of licensed water damage restoration professionals can get your business dry in no time. 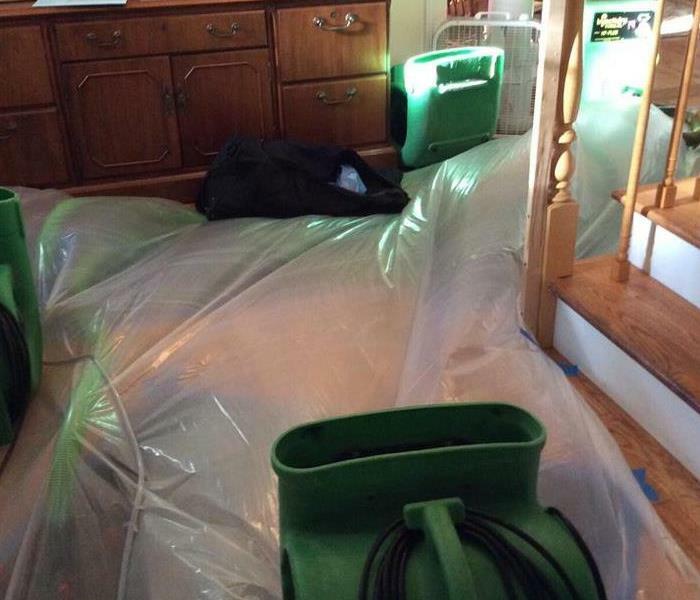 SERVPRO of Bath/Brunswick has the equipment and expertise to handle damages of all sizes. When your business suffers water, fire, mold, or storm damage, give the company you can trust a call! We are ready 24/7 for emergencies. Hurricane Irma damaged the interior and exterior of many homes. Often when the exterior of a building is damaged, secondary damage can occur inside. This bedroom flooring was removed and properly dried and prepped for new carpeting. 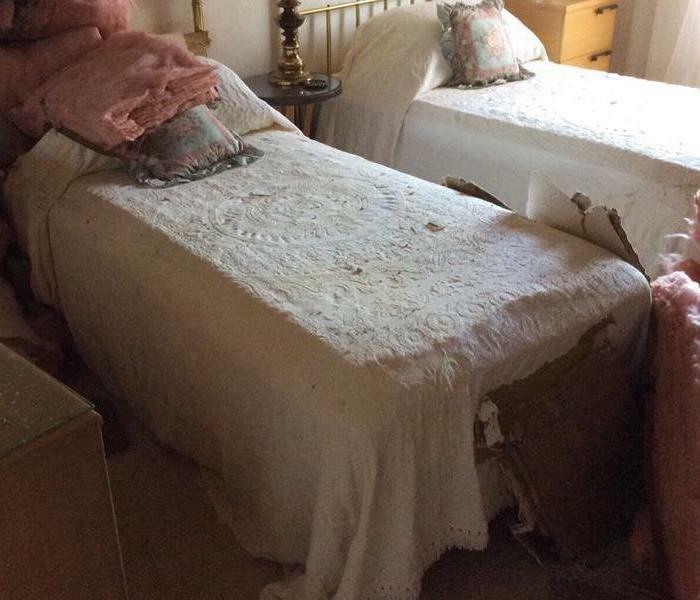 This master bedroom had its ceiling cave in, leaving sheetrock and insulation debris to be removed before proper demolition could begin to allow for safe and effective water mitigation after Hurricane Irma in Florida. A wall and ceiling affected by water intrusion from an ice dam was mitigated with special drying equipment. By controlling the environment with customized containment, only a portion of the room needed material removal. SERVPRO of Bath/ Brunswick responded quickly to find water damage in this commercial building. The technicians were able to quickly use a truck mounted extractor to remove the water and prevent secondary damages. 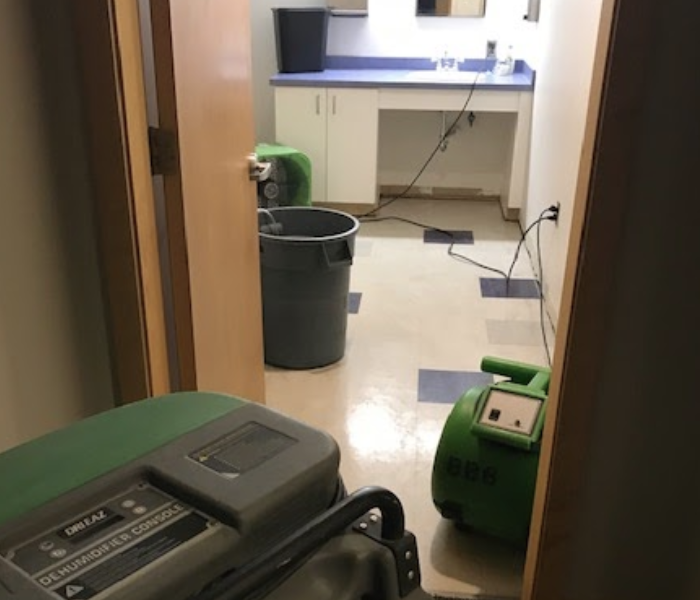 After extracting the water from this hallway that suffered from a water loss, SERVPRO placed air movers and dehumidifiers to dry quickly and effectively. When placing them strategically the water and drying process will go smoothly. SERVPRO of Bath/Brunswick is highly trained and experienced with over 21 years of performing fire and smoke restoration services. After a fire, you can trust that we will make it "Like it never even happened." SERVPRO of Bath/Brunswick removed the charred debris from this bedroom and then completed the demolition. Our crews then focused on water damage restoration from extinguishing the fire. Give SERVPRO of Bath/Brunswick a call after fire damage. This residential bathroom was heavily affected by flames and smoke and was not safe for the family to remain in the dwelling during the time services were being provided. SERVPRO has the equipment and skill to restore your home after fire damage. Soot tags occur from a synthetic/petroleum based source burn. During a furnace malfunction or fire, soot circulates throughout the property – hot air/smoke moves towards cool air when trying to equalize the temperature. Give SERVPRO of Bath/Brunswick a call after fire damage. This family room suffered from a water loss after the door seal had failed leaking onto laminate flooring. The flooring was removed and dried properly returning the home back to normal conditions. 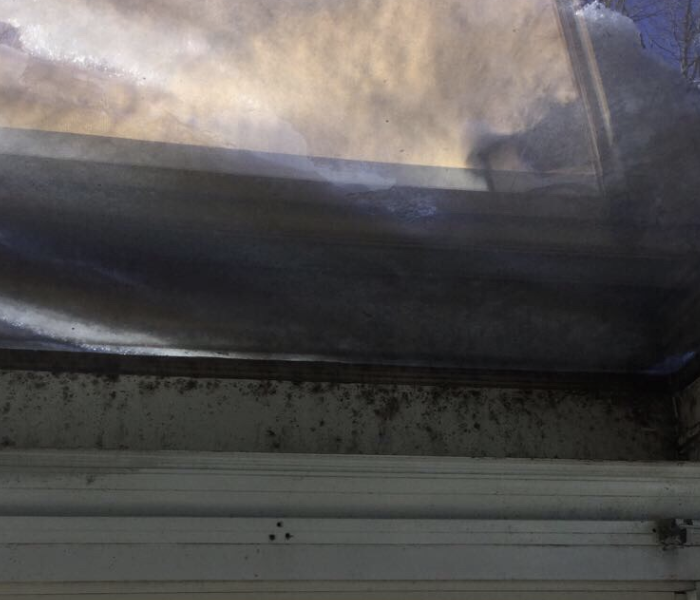 Have You Checked Your Sunroom for Mold? If you look closely, you can see the trim and windowsills in this Bath, ME sunroom were affected by microbial growth from the warm, moist environment. With proper mitigation and remediation, this room was safely restored and made to look "Like it never even happened." Attics are very susceptible to mold/mildew, or microbial growth, due to lack of proper ventilation and high humidity. Moisture problems can develop quickly in these spaces as they are frequented less often, and allow time and lack of disturbance for a good growing environment. High moisture in an attic often results in microbial growth. 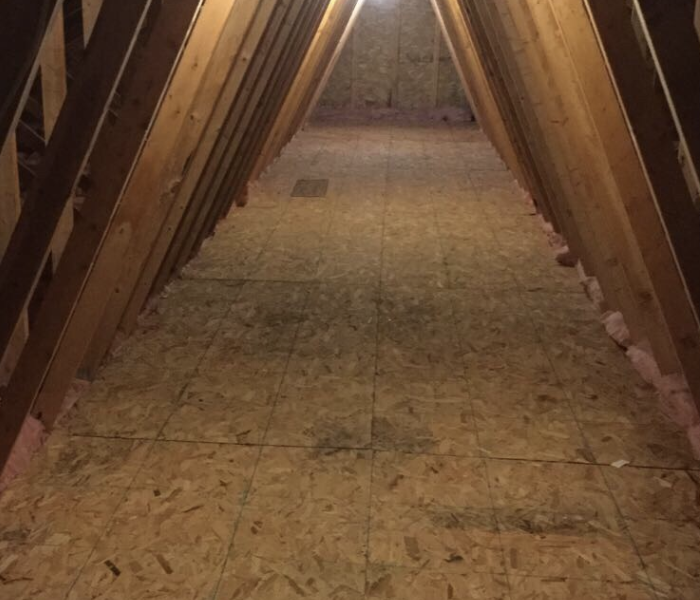 This attic’s roof sheathing, or the internal side of a roof, was affected from old shingles no longer preventing water from seeping through, and a lack of proper ventilation in the attic. By using specially formulated SERVPRO products, this sheathing was restored with very minimal mold staining. 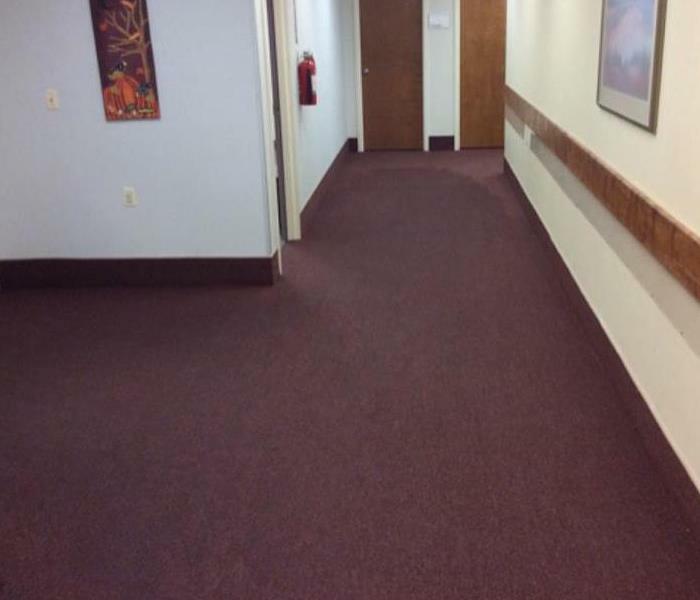 SERVPRO of Bath/Brunswick was unable to restore this carpet after water damage had set in. The water was left for too long for it to be restored. 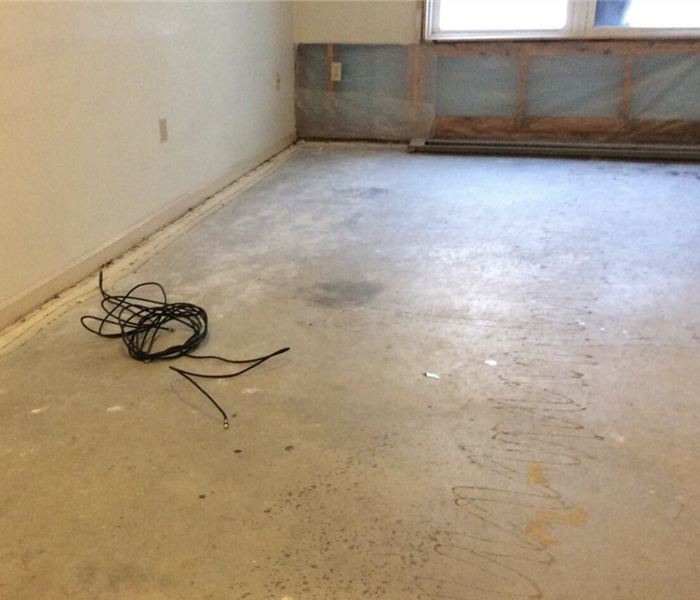 SERVPRO removed this carpet and the baseboards to start the drying process. Is Your Crawlspace Mold Free? SERVPRO of Bath/Brunswick can get even the hardest to reach places free of mold. Our highly trained mold damage restoration professionals can guarantee all of the mold in your crawlspace is treated safely and efficiently. It takes special drying techniques to save hardwood flooring sometimes. This hardwood flooring was saved with an injectidry, which safely pulls moisture through flooring layers to allow for an even drying. 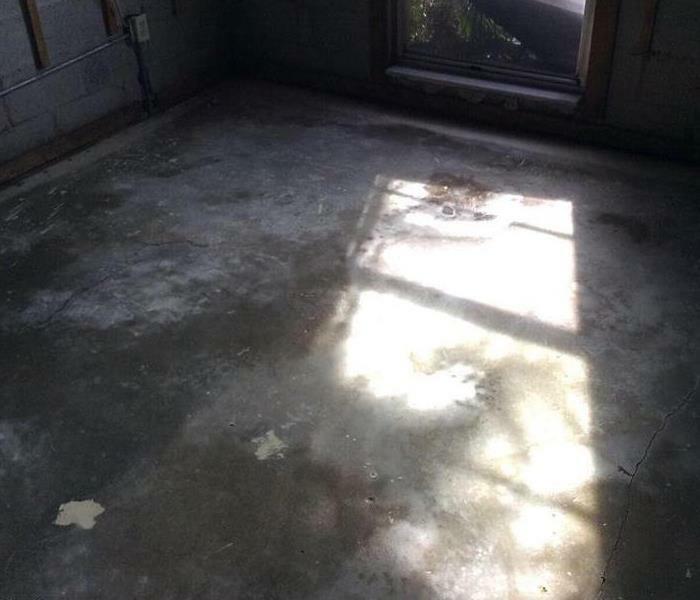 This bank flooring suffered from water damage after flooding from Hurricane Sandy. SERVPRO has professional drying equipment that was put in place for quick and effective drying to prevent secondary damages. 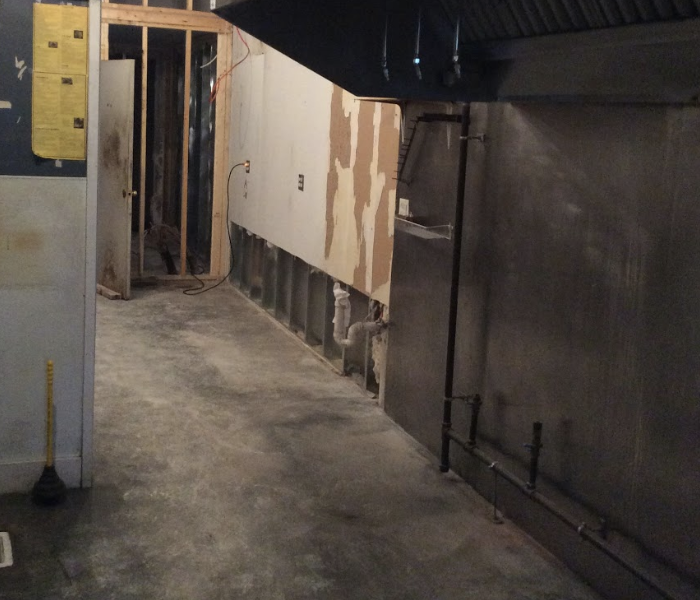 This commercial space suffered from water damage after Hurricane Sandy. Content and furniture were strategically moved and cared for as the damaged tile flooring was removed in a portion of the space. 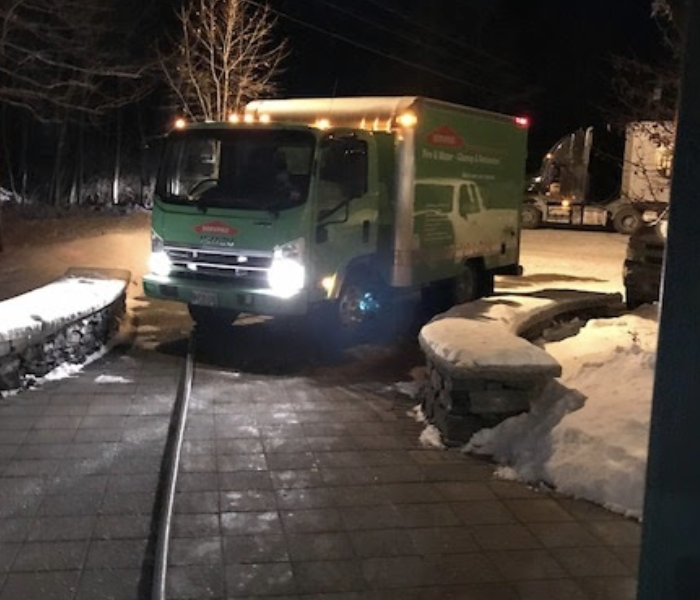 The crew members at SERVPRO of Bath/ Brunswick worked to protect content and appliances with plastic barriers as they remove water damaged materials from a residence in New York after Hurricane Sandy. After Hurricane Irma hit the Florida area, significant storm and water damage left homes in need of repair. SERVPRO of Bath/ Brunswick responded to assist in the storm clean up. This bedroom closet suffered from a water loss after Hurricane Irma hit the Florida area. The flood cuts were performed for quick and effective drying. SERVPRO responded immediately to help with the flooding and water clean up. 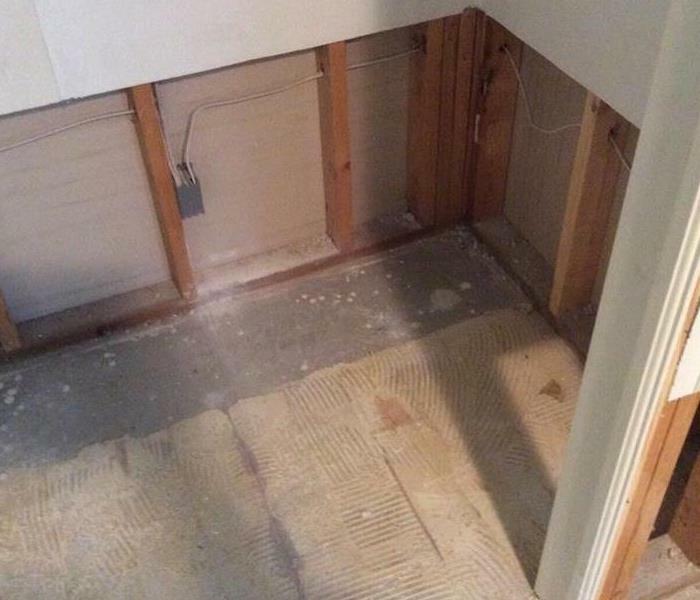 This basement suffered from a water loss after a storm. 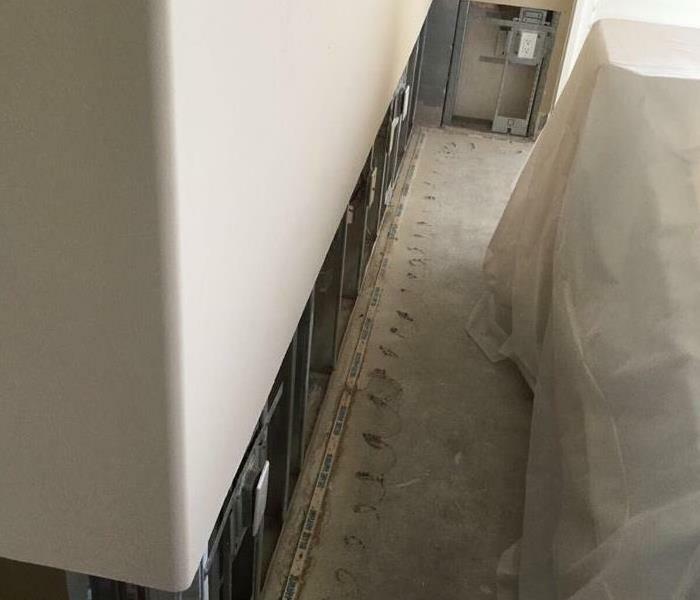 The drywall was removed, snout air mover was placed towards the inside of the wall to properly dry from the inside out. 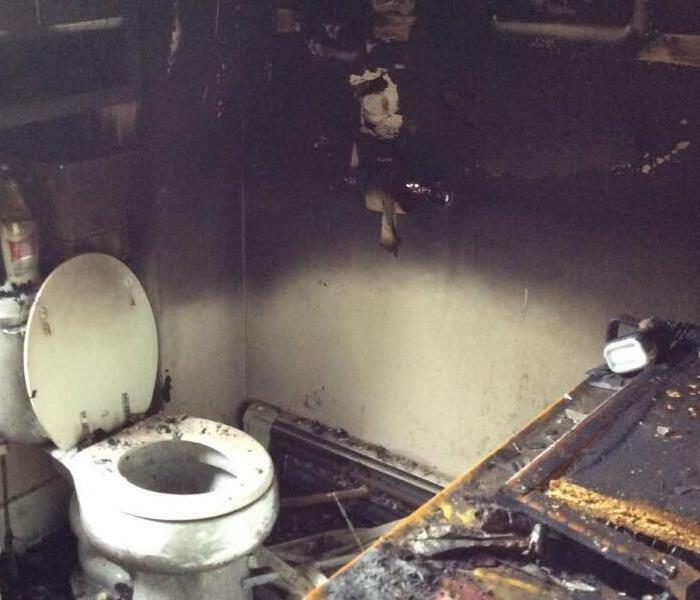 This bathroom suffered from a fire loss. SERVPRO of Bath/Brunswick responded immediately to begin the clean up process. Call us anytime day or night and we can respond to your fire loss emergency. 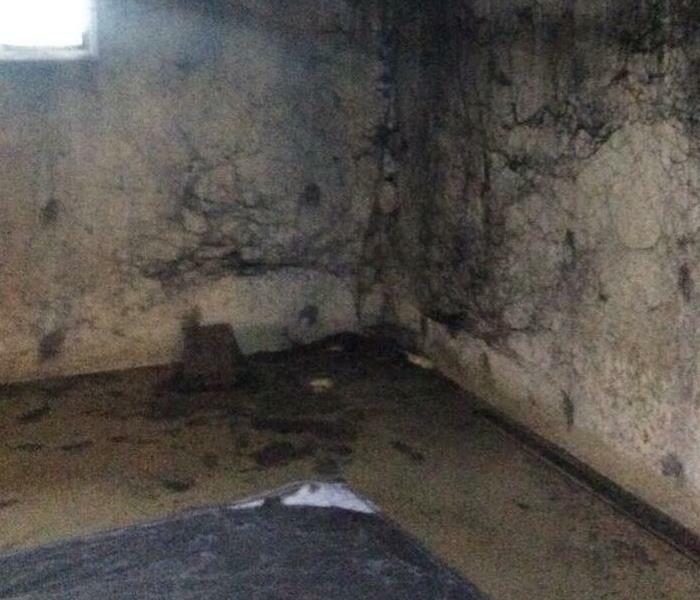 This basement suffered from significant fire damage. Soot tags gathered in the basement after a furnace malfunction. The crews responded immediately to begin the clean up procedures. They were able to restore the home quickly and effectively.